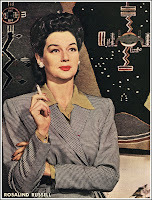 Known for playing wisecracking career women, Rosalind Russell was born into a wealthy family in Waterbury, Connecticut, on June 4, 1912. After two years at Marymount College, she enrolled at the American Academy of Dramatic Arts. Russell spent years in summer stock before landing her first Broadway role in the unsuccessful Company’s Coming (1931). Three more years would pass before she was discovered by a Hollywood talent scout. An impressive screen test led to a seven-year contract with Metro-Goldwyn-Mayer. Russell made her film debut in Evelyn Prentice (1934). 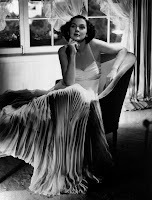 She languished in supporting roles, often playing the “other woman,” until landing the lead in Craig’s Wife (1936), in which she portrayed a memorably obsessive housewife. Russell soon came into her own in two classic comedies—The Women (1939) and His Girl Friday (1940). Both films showcased her skill at playing fast-taking, fearless, and impeccably dressed professionals. Russell proved to be her best in larger-than-life roles. Describing her own strengths, she once told Life magazine, “It’s okay to have talent, but . . . you’ve got to have vitality. . . . Sometimes what you have to do is almost claw your work onto film.”In 1942, Russell was nominated for an Academy Award nomination for the romantic comedy My Sister Eileen. 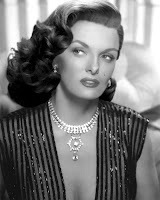 For much of the 1940s, however, she was cast in dramas. She also acted in several movies produced by Frederick Brisson, whom she married in 1941. They had one child. Russell’s next two Oscar nominations were received for Sister Kenny (1946), a biography of the acclaimed polio nurse, and Mourning Becomes Electra (1947), the film version of Eugene O’Neill’s classic play. Yet, her robust acting style was not well-suited for subtle dramatic roles, and her film career began to falter. In the 1950s, she returned to Broadway to make her comeback. Although she could not sing or dance, she found her niche in musical theater. Russell had an enormous hit with Wonderful Town (1953), the musical adaptation of her film My Sister Eileen. Her performance, which earned her a Tony Award, was “a triumph of personality over technique,” according to Time magazine. 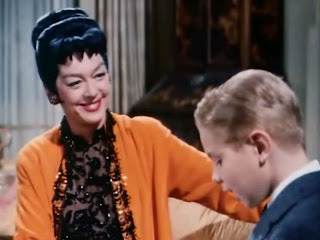 Even greater was her success in Auntie Mame (1956), the story of a boy’s adventures with his flamboyant, eccentric aunt. Russell also played the part in the 1958 movie version, for which she received her last Academy Award nomination. 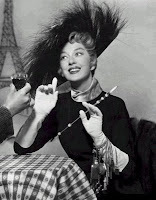 Her other successful late film roles included a desperate spinster in Picnic (1955) and the domineering mother of GYPSY ROSE LEE in the musical Gypsy (1962), a part played by ETHEL MERMAN on the stage. Over the next decade, Russell appeared in many minor films and television programs. She gave her final film performance in the television movie The Crooked Hearts (1972). The next year, Russell received the Jean Hersholt Humanitarian Award for her charitable work. She died in Beverly Hills, California, on November 28, 1976, at the age of 64. 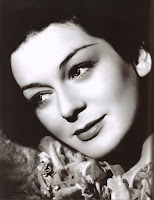 Leitner, Samuel L. “Rosalind Russell.” In Dictionary of American Biography, Supplement 10: 1976–1980. New York: Charles Scribner’s Sons, 1995. Russell, Rosalind, and Chris Chase. Life Is a Banquet. New York: Random House, 1977. Auntie Mame (1958). Warner Studios, VHS, 1998. His Girl Friday (1940). Columbia Tri-Star, DVD, 2000. Gypsy (1962). Warner Studios, DVD/VHS, 2000. The Women (1939). Warner Studios, VHS, 1996.